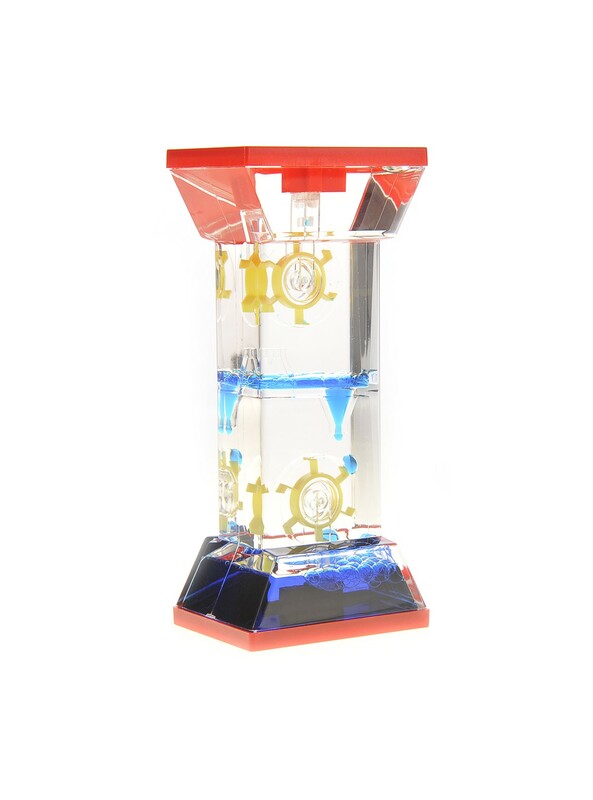 This Liquid Motion Double Wheel Drop is definitely a great toy to leave by your desk or bed, so you can have something to watch and relax to if you're stressing out. 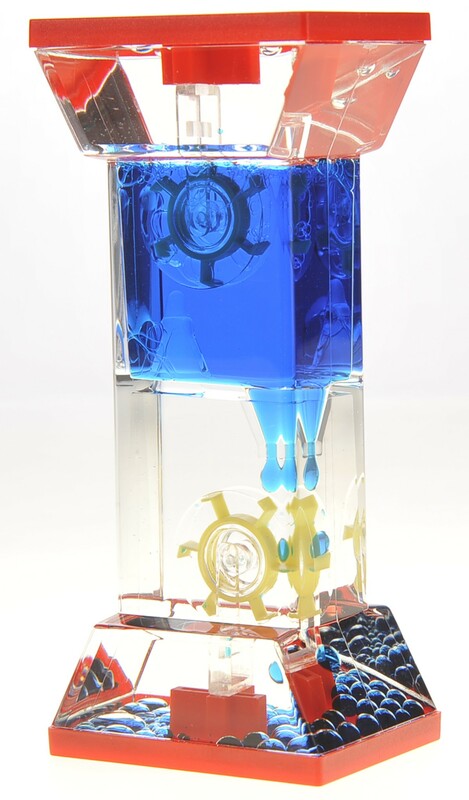 The bright vivid colors of the liquid is fun to look at and people describe it as a toy to calm your mind to. 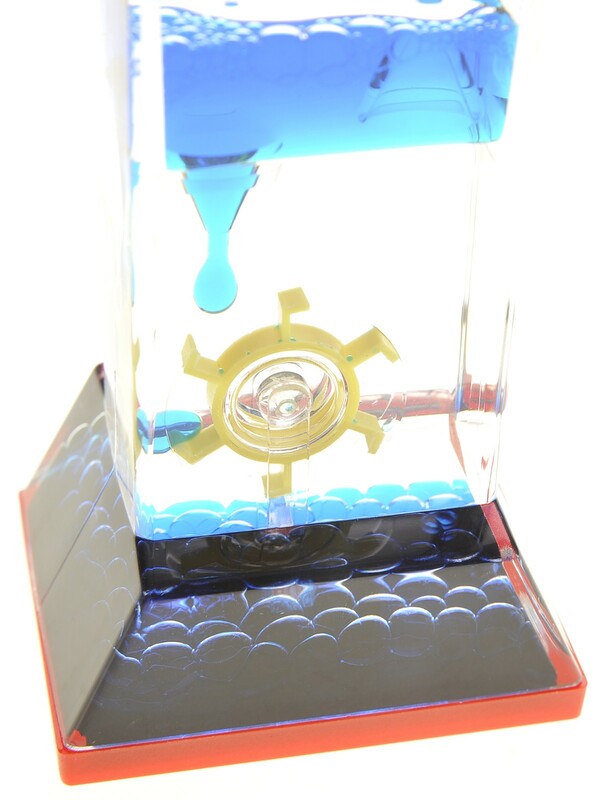 Watch as the liquid drips down slowly, hitting a wheel and moving it. Additionally, the liquid inside is non-toxic and non-flammable, so you don't have to worry about spills harming you. Liquid Motion Double Wheel Drop comes in a bright vivid color, pleasing for the eye.